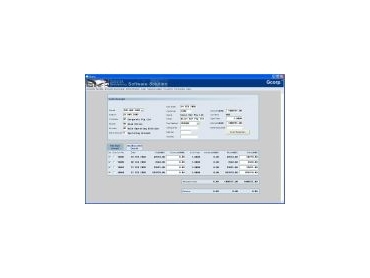 Screenshot from Gcorp’s ERP solution. LOCAL ERP developer Graycorp has released the latest version of its real-time web-based ERP solution designed for Australian manufacturers. Graycorp CEO Byron Gray says Gcorp isn't like most other ERP and manufacturing systems. It has the features and functionality of traditional systems, but with significant added benefits. Gcorp operates in real-time and its entire user interface is Internet Explorer. This provides substantial cost savings and previously unheard of access to vital information - particularly if there are multiple office locations or a need to access the system remotely. Users can accurately track, upon a daily or more frequent basis, sales, production, costs, stock, wip, debtors, creditors, P&L and other key performance indicators - literally from anywhere in the world. Gcorp speeds up management information systems so they keep pace with the business. Gcorp will be on stand 4707 at National Manufacturing Week 2003, Melbourne Exhibition & Convention Centre, May 20-23.